4 How big is the risk of run-away climate change? 5 What new technologies might be as dangerous as nuclear weapons? 6 If we add everything together, what's the total risk? 9 What can be done about these risks? 9.4 In total, how effective is it to reduce these risks? 10 Who shouldn’t prioritise safeguarding the future? 12 What can you do to help with these areas? It may be possible to set up a nuclear chain reaction in a large mass of uranium…and it is conceivable — though much less certain — that extremely powerful bombs of a new type may thus be constructed. Just a few years later, these bombs were created. In little more than a decade, enough had been produced that, for the first time in history, a handful of decision-makers could destroy civilisation. Humanity had entered a new age. In this new age, what should be our biggest priority as a civilisation? Improving technology? Helping the poor? Changing the political system? Here’s a suggestion that’s not so often discussed: our first priority should be to survive. So long as civilisation continues to exist, we’ll have the chance to solve all our other problems, and have a far better future. But if we go extinct, that’s it. Why isn’t this priority more discussed? Here’s one reason: many people don’t yet appreciate the change in situation, and so don’t think our future is at risk. We used to think the risks were extremely low as well, but when we looked into it, we changed our minds. As we’ll see, researchers who study these issues think the risks are over one thousand times higher, and are probably increasing. 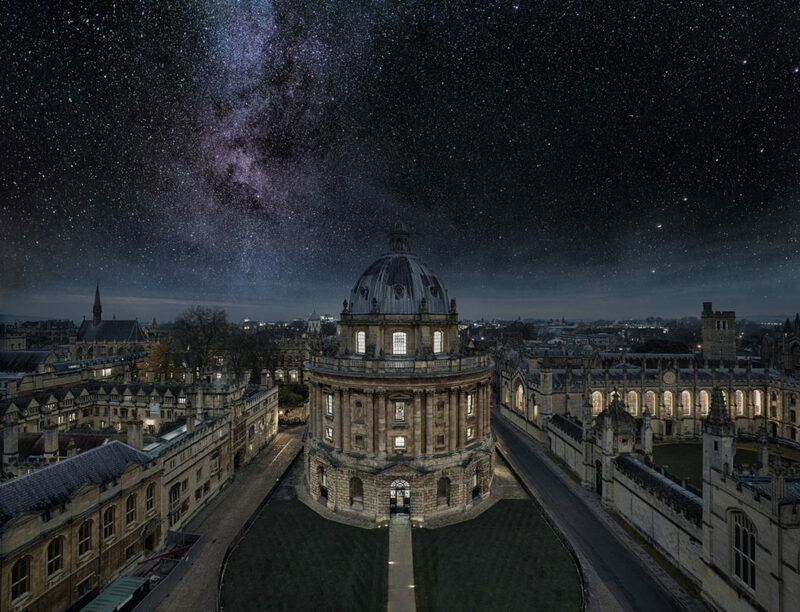 These concerns have started a new movement working to safeguard civilisation, which has been joined by Stephen Hawking, Elon Musk, and new institutes founded by researchers at Cambridge, MIT, Oxford, and elsewhere. In the rest of this article, we cover the greatest risks to civilisation, including some that might be bigger than nuclear war and climate change. We then make the case that reducing these risks could be the most important thing you do with your life, and explain exactly what you can do to help. If you would like to use your career to work on these issues, we can also give one-on-one support. 6 If we add everything together, what’s the total risk? A one in ten million chance of extinction in the next 50 years — what many people think the risk is — must be an underestimate. Naturally occurring extinction risks can be estimated pretty accurately from history, and are much higher. Unfortunately, as we’ll now show, the natural risks are dwarfed by the human-caused ones. And this is why the risk of extinction has become an especially urgent issue. This was caused by the industrial revolution — perhaps the most important event in history. Chart prepared by Luke Muehlhauser in 2017. People also seem to become happier as they get wealthier. Individual freedom has increased, while racism, sexism and homophobia have decreased. Many people think the world is getting worse,10 and it’s true that modern civilisation does some terrible things, such as factory farming. But as you can see in the data, many important measures of progress have improved dramatically. More to the point, no matter what you think has happened in the past, if we look forward, improving technology, political organisation and freedom gives our descendants the potential to solve our current problems, and have vastly better lives.11 It is possible to end poverty, prevent climate change, alleviate suffering, and more. But also notice the purple line on the second chart: war-making capacity. It’s based on estimates of global military power by the historian Ian Morris, and it has also increased dramatically. Here’s the issue: improving technology holds the possibility of enormous gains, but also enormous risks. Each time we discover a new technology, most of the time it yields huge benefits. But there’s also a chance we discover a technology with more destructive power than we have the ability to wisely use. And so, although the present generation lives in the most prosperous period in human history, it’s plausibly also the most dangerous. The first destructive technology of this kind was nuclear weapons. Today we all have North Korea’s nuclear programme on our minds, but current events are just one chapter in a long saga of near misses. We came near to nuclear war several times during the Cuban Missile crisis alone.12 In one incident, the Americans resolved that if one of their spy planes were shot down, they would immediately invade Cuba without a further War Council meeting. The next day, a spy plane was shot down. JFK called the council anyway, and decided against invading. An invasion of Cuba might well have triggered nuclear war; it later emerged that Castro was in favour of nuclear retaliation even if “it would’ve led to the complete annihilation of Cuba”. Some of the launch commanders in Cuba also had independent authority to target American forces with tactical nuclear weapons in the event of an invasion. In another incident, a Russian nuclear submarine was trying to smuggle materials into Cuba when they were discovered by the American fleet. The fleet began to drop dummy depth charges to force the submarine to surface. The Russian captain thought they were real depth charges and that, while out of radio communication, the third world war had started. He ordered a nuclear strike on the American fleet with one of their nuclear torpedoes. Fortunately, he needed the approval of other senior officers. 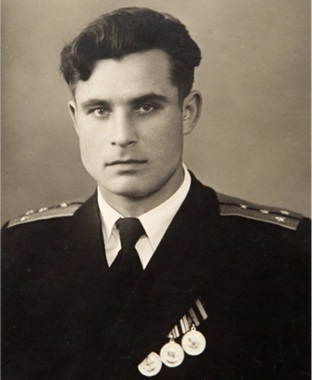 One, Vasili Arkhipov, disagreed, preventing war. There have been plenty of other close calls with Russia, even after the Cold War, as listed on this nice Wikipedia page. And those are just the ones we know about. The key problem is that several countries maintain large nuclear arsenals that are ready to be deployed in minutes. This means that a false alarm or accident can rapidly escalate into a full-blown nuclear war, especially in times of tense foreign relations. Would a nuclear war end civilisation? It was initially thought that a nuclear blast might be so hot that it would ignite the atmosphere and make the Earth uninhabitable. Scientists estimated this was sufficiently unlikely that the weapons could be “safely” tested, and we now know this won’t happen. Even a “mild” nuclear winter, however, could still cause mass starvation.17 For this and other reasons, a nuclear war would be extremely destabilising, and it’s unclear whether civilisation could recover. This is why the 1950s marked the start of a new age for humanity. For the first time in history, it became possible for a small number of decision-makers to wreak havoc on the whole world. We now pose the greatest threat to our own survival — that makes today the most dangerous point in human history. And nuclear weapons aren’t the only way we could end civilisation. How big is the risk of run-away climate change? Climate change is certainly a major risk to civilisation. The graph below shows estimates of climate sensitivity. Climate sensitivity is how much warming to expect in the long-term if CO2 concentrations double, which is roughly what’s expected within the century. The most likely outcome is 2-4 degrees of warming, which would be bad, but survivable. 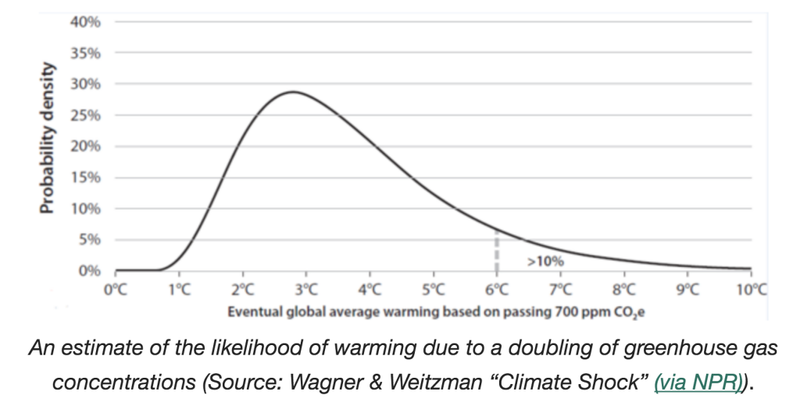 However, these estimates give a 10% chance of warming over 6 degrees, and perhaps a 1% chance of warming of 9 degrees. That would render large fractions of the Earth functionally uninhabitable, requiring at least a massive reorganisation of society. It would also probably increase conflict, and make us more vulnerable to other risks. So, it seems like the chance of a massive climate disaster created by CO2 is perhaps similar to the chance of a nuclear war. What new technologies might be as dangerous as nuclear weapons? The invention of nuclear weapons led to the anti-nuclear movement just a decade later in the 1960s, and the environmentalist movement soon adopted the cause of fighting climate change. What’s less appreciated is that new technologies will present further catastrophic risks. This is why we need a movement that is concerned with safeguarding civilisation in general. Predicting the future of technology is difficult, but because we only have one civilisation, we need to try our best. Here are some candidates for the next technology that’s as dangerous as nuclear weapons. In 1918-1919, over 3% of the world’s population died of the Spanish Flu.19 If such a pandemic arose today, it might be even harder to contain due to rapid global transport. What’s more concerning, though, is that it may soon be possible to genetically engineer a virus that’s as contagious as the Spanish Flu, but also deadlier, and which could spread for years undetected. Another new technology with huge potential power is artificial intelligence. The reason that humans are in charge and not chimps is purely a matter of intelligence. Our large and powerful brains give us incredible control of the world, despite the fact that we are so much physically weaker than chimpanzees. So then what would happen if one day we created something much more intelligent than ourselves? In 2017, 350 researchers who have published peer-reviewed research into artificial intelligence at top conferences were polled about when they believe that we will develop computers with human-level intelligence: that is, a machine that is capable of carrying out all work tasks better than humans. These probabilities are hard to estimate, and the researchers gave very different figures depending on precisely how you ask the question.22 Nevertheless, it seems there is at least a reasonable chance that some kind of transformative machine intelligence is invented in the next century. Moreover, greater uncertainty means means that it might come sooner than people think rather than later. What risks might this development pose? The original pioneers in computing, like Alan Turing and Marvin Minsky, raised concerns about the risks of powerful computer systems,23 and these risks are still around today. We’re not talking about computers “turning evil”. Rather, one concern is that a powerful AI system could be used by one group to gain control of the world, or otherwise be mis-used. If the USSR had developed nuclear weapons 10 years before the USA, the USSR might have become the dominant global power. Powerful computer technology might pose similar risks. Another concern is that deploying the system could have unintended consequences, since it would be difficult to predict what something smarter than us would do. A sufficiently powerful system might also be difficult to control, and so be hard to reverse once implemented. These concerns have been documented by Oxford Professor Nick Bostrom in Superintelligence and by AI pioneer Stuart Russell. Most experts think that better AI will be a hugely positive development, but they also agree there are risks. In the survey we just mentioned, AI experts estimated that the development of high-level machine intelligence has a 10% chance of a “bad outcome” and a 5% chance of an “extremely bad” outcome, such as human extinction.21 And we should probably expect this group to be positively biased, since, after all, they make their living from the technology. People have raised concern about other new technologies, such as other forms of geo-engineering and atomic manufacturing, but they seem significantly less imminent, so are widely seen as less dangerous than the other technologies we’ve covered. You can see a longer list of extinction risks here. What’s probably more concerning is the risks we haven’t thought of yet. If you had asked people in 1900 what the greatest risks to civilisation were, they probably wouldn’t have suggested nuclear weapons, genetic engineering or artificial intelligence, since none of these were yet invented. It’s possible we’re in the same situation looking forward to the next century. Future “unknown unknowns” might pose a greater risk than the risks we know today. 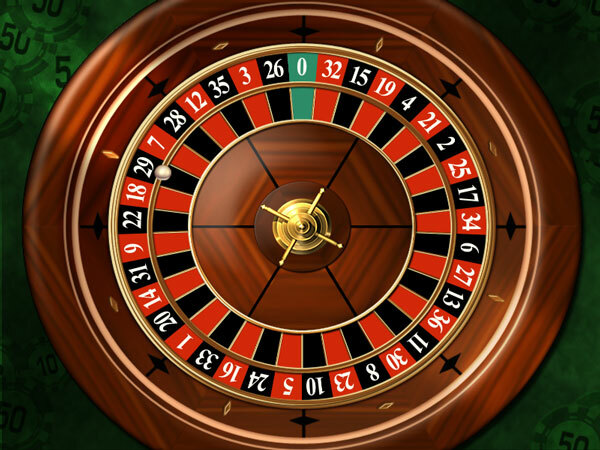 Each time we discover a new technology, it’s a little like betting against a single number on a roulette wheel. Most of the time we win, and the technology is overall good. But each time there’s also a small chance the technology gives us more destructive power than we can handle, and we lose everything. Each new technology we develop has both unprecedented potential and perils. Image source. If we add everything together, what’s the total risk? Many experts who study these issues estimate that the total chance of human extinction in the next century is between 1 and 20%. Dr. Toby Ord, who is writing a book on this topic, puts the risk in the next century at 1 in 6 — the roll of a dice. These figures are about one million times higher than what people normally think. What should we make of these estimates? Presumably, the researchers only work on these issues because they think they’re so important, so we should expect their estimates to be high (“selection bias”). But does that mean we can dismiss their concerns entirely? Given this, what’s our personal best guess? It’s very hard to say, but we find it hard to confidently ignore the risks. Overall, we think the risk is likely over 3%. How much should we prioritise working to reduce these risks compared to other issues, like global poverty, ending cancer or political change? If you apply this framework, we think that safeguarding the future comes out as the world’s biggest priority. And so, if you want to have a big positive impact with your career, this is the top area to focus on. In the next few sections, we’ll evaluate this issue on scale, neglectedness and solvability, drawing heavily on Existential Risk Prevention as a Global Priority by Nick Bostrom and unpublished work by Toby Ord, as well as our own research. First, let’s start with the scale of the issue. We’ve argued there’s likely over a 3% chance of extinction in the next century. How big an issue is this? Many of the risks we’ve covered could also cause a “medium” catastrophe rather than one that ends civilisation, and this is presumably significantly more likely. The survey we covered earlier suggested over a 10% chance of a catastrophe that kills over 1 billion people in the next century, which would be at least another 100 million deaths in expectation, along with far more suffering among those who survive. So, even if we only focus on the impact on the present generation, these catastrophic risks are one of the most serious issues facing humanity. But this is a huge underestimate of the scale of the problem, because if civilisation ends, then we give up our entire future too. A nuclear war imperils all of our descendants, for as long as there will be humans. Even if the population remains static, with an average lifetime of the order of 100 years, over a typical time period for the biological evolution of a successful species (roughly ten million years), we are talking about some 500 trillion people yet to come. By this criterion, the stakes are one million times greater for extinction than for the more modest nuclear wars that kill “only” hundreds of millions of people. There are many other possible measures of the potential loss–including culture and science, the evolutionary history of the planet, and the significance of the lives of all of our ancestors who contributed to the future of their descendants. Extinction is the undoing of the human enterprise. We’re glad the Romans didn’t let humanity go extinct, since it means that all of modern civilisation has been able to exist. We think we owe a similar responsibility to the people who will come after us. It would be reckless and unjust to endanger their existence just to make ourselves better off in the short-term. It’s not just that there might be more people in the future. As Sagan also pointed out, no matter what you think is of value, there is potentially a lot more of it in the future. Future civilisation could create a world without need or want, and make mindblowing intellectual and artistic achievements. We could build a far more just and virtuous society. And there’s no in-principle reason why civilisation couldn’t reach other planets, of which there are some 100 billion in our galaxy.26 If we let civilisation end, then none of this can ever happen. We’re unsure whether this great future will really happen, but that’s all the more reason to keep civilisation going so we have a chance to find out. Failing to pass on the torch to the next generation might be the worst thing we could ever do. 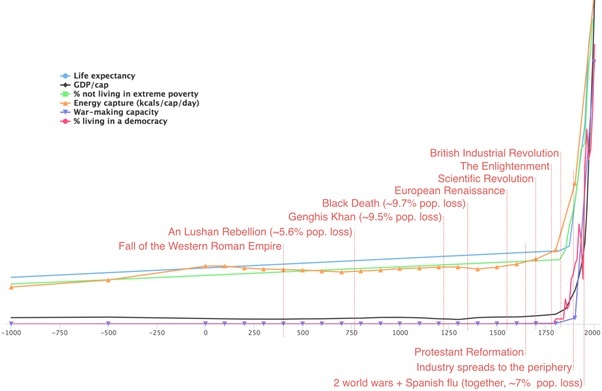 So, a couple of percent risk that civilisation ends seems likely to be the biggest issue facing the world today. What’s also striking is just how neglected these risks are. As you can see, we spend a vast amount of resources on R&D to develop even more powerful technology. We also expend a lot in a (possibly misguided) attempt to improve our lives by buying luxury goods. Far less is spent mitigating catastrophic risks from climate change. Welfare spending in the US alone dwarfs global spending on climate change. But climate change still receives enormous amounts of money compared to some of these other risks we’ve covered. We roughly estimate that the prevention of extreme global pandemics receives under 300 times less, even though the size of the risk seems about the same. Research to avoid accidents from AI systems is the most neglected of all, perhaps receiving 100-times fewer resources again, at around only $10m per year. You’d find a similar picture if you looked at the number of people working on these risks rather than money spent, but it’s easier to get figures for money. Our impression is that if you look at political attention, you’d find a similar picture to the funding figures. An overwhelming amount of political attention goes on concrete issues that help the present generation in the short-term, since that’s what gets votes. Catastrophic risks are far more neglected. Then, among the catastrophic risks, climate change gets the most attention, while issues like pandemics and AI are the most neglected. This neglect in resources, scientific study and political attention is exactly what you’d expect to happen from the underlying economics, and are why the area presents an opportunity for people who want to make the world a better place. First, these risks aren’t the responsibility of any single nation. Suppose the US invested heavily to prevent climate change. This benefits everyone in the world, but only about 5% of the world’s population lives in the US, so US citizens would only receive 5% of the benefits of this spending. This means the US will dramatically underinvest in these efforts compared to how much they’re worth to the world. And the same is true of every other country. This could be solved if we could all coordinate — if every nation agreed to contribute its fair share to reducing climate change, then all nations would benefit by avoiding its worst effects. Unfortunately, from the perspective of each individual nation, it’s better if every other country reduces their emissions, while leaving their own economy unhampered. So, there’s an incentive for each nation to defect from climate agreements, and this is why so little progress gets made (it’s a prisoner’s dilemma). And in fact, this dramatically understates the problem. The greatest beneficiaries of efforts to reduce catastrophic risks are future generations. They have no way to stand up for their interests, whether economically or politically. Our current system does a poor job of protecting future generations. We know people who have spoken to top government officials in the UK, and many want to do something about these risks, but they say the pressures of the news and election cycle make it hard to focus on them. In most countries, there is no government agency that naturally has mitigation of these risks in its remit. This is a depressing situation, but it’s also an opportunity. For people who do want to make the world a better place, this lack of attention means there are lots high-impact ways to help. What can be done about these risks? We’ve covered the scale and neglectedness of these issues, but what about the third element of our framework, solvability? It’s less certain that we can make progress on these issues than more conventional areas like global health. It’s much easier to measure our impact on health (at least in the short-run) and we have decades of evidence on what works. This means working to reduce catastrophic risks looks worse on solvability. However, there is still much we can do, and given the huge scale and neglectedness of these risks, they still seem like the most urgent issues. 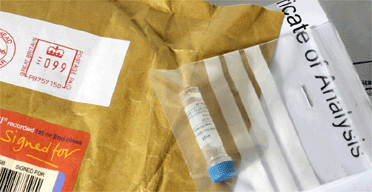 Many experts agree that better disease surveillance would reduce the risk of pandemics. This could involve improved technology or better collection and aggregation of existing data, to help us spot new pandemics faster. And the faster you can spot a new pandemic, the easier it is to manage. There are many ways to reduce climate change, such as helping to develop better solar panels, or introducing a carbon tax. With AI, we can do research into the “control problem” within computer science, to reduce the chance of unintended damage from powerful AI systems. A recent paper, Concrete problems in AI safety, outlines some specific topics, but only about 20 people work full-time on similar research today. In nuclear security, many experts think that the deterrence benefits of nuclear weapons could be maintained with far smaller stockpiles. But, lower stockpiles would also reduce the risks of accidents, as well as the chance that a nuclear war, if it occurred, would end civilisation. We don’t focus on naturally caused risks in this section, because they’re much less likely and we’re already doing a lot to deal with some of them. Improved wealth and technology makes us more resilient to natural risks, and a huge amount of effort already goes into getting more of these. Rather than try to reduce each risk individually, we can try to make civilisation generally better at managing them. The “broad” efforts help to reduce all the threats at once, even those we haven’t thought of yet. For instance, there are key decision-makers, often in government, who will need to manage these risks as they arise. If we could improve the decision-making ability of these people and institutions, then it would help to make society in general more resilient, and solve many other problems. Recent research has uncovered lots of ways to improve decision-making, but most of it hasn’t yet been implemented. At the same time, few people are working on the issue. We go into more depth in our write-up of improving institutional decision-making. Another example is that we could try to make it easier for civilisation to rebound from a catastrophe. The Global Seed Vault is a frozen vault in the Arctic, which contains the seeds of many important crop varieties, reducing the chance we lose an important species. Melting water recently entered the tunnel leading to the vault due, ironically, to climate change, so could probably use more funding. There are lots of other projects like this we could do to preserve knowledge. Similarly, we could create better disaster shelters, which would reduce the chance of extinction from pandemics, nuclear winter and asteroids (though not AI), while also increasing the chance of a recovery after a disaster. Right now, these measures don’t seem as effective as reducing the risks in the first place, but they still help. A more neglected, and perhaps much cheaper option is to create alternative food sources, such as those that be produced without light, and could be quickly scaled up in a prolonged winter. Since broad efforts help even if we’re not sure about the details of the risks, they’re more attractive the more uncertain you are. As you get closer to the risks, you should gradually reallocate resources from broad to targeted efforts (read more). We expect there are many more promising broad interventions, but it’s an area where little research has been done. For instance, another approach could involve improving international coordination. Since these risks are caused by humanity, they can be prevented by humanity, but what stops us is the difficulty of coordination. For instance, Russia doesn’t want to disarm because it would put it at a disadvantage compared to the US, and vice versa, even though both countries would be better off if there were no possibility of nuclear war. However, it might be possible to improve our ability to coordinate as a civilisation, such as by improving foreign relations or developing better international institutions. We’re keen to see more research into these kinds of proposals. Mainstream efforts to do good like improving education and international development can also help to make society more resilient and wise, and so also contribute to reducing catastrophic risks. For instance, a better educated population would probably elect more enlightened leaders (cough). Richer countries are better able to prevent pandemics — it’s no accident that Ebola took hold in some of the poorest parts of West Africa. But, we don’t see education and health as the best areas to focus on for two reasons. First, these areas are far less neglected than the more unconventional approaches we’ve covered. In fact, improving education is perhaps the most popular cause for people who want to do good, and in the US alone, receives 800 billion dollars of government funding, and another trillion dollars of private funding. Second, these approaches have much more diffuse effects on reducing these risks — you’d have to improve education on a very large scale to have any noticeable effect. We prefer to focus on more targeted and neglected solutions. We’re highly uncertain about which risks are biggest, what is best to do about them, and whether our whole picture of global priorities might be totally wrong. This means that another key goal is to learn more about all of these issues. We can learn more by simply trying to reduce these risks and seeing what progress can be made. However, we think the most neglected and important way to learn more right now is to do “global priorities research”. This is a combination of economics and moral philosophy, which aims to answer high-level questions about the most important issues for humanity. There are only a handful of researchers working full-time on these issues. Another way to handle uncertainty is to build up resources that can be deployed in the future when you have more information. One way of doing this is to earn and save money. You can also invest in your career capital, especially your transferable skills and influential connections, so that you can achieve more in the future. However, we think that a potentially better approach than either of these is to build a high-quality community that’s focused on reducing these risks, whatever they turn out to be. The reason this can be better is that it’s possible to grow the capacity of a community faster than you can grow your individual wealth or career capital. For instance, if you spent a year doing targeted one-on-one outreach, it’s not out of the question to find one other person with relevant expertise to join you. This would be an annual return to the cause of about 100%. Right now, we are focused on building the effective altruism community, which contains many people who want to reduce these risks. Moreover, the recent rate of growth, and studies of specific efforts to grow the community, suggest that high rates of return are possible. However, we expect that other community building efforts will also be valuable. It would be great to see a community of scientists trying to promote a culture of safety in academia. It would be great to see a community of policymakers who want to try to reduce these risks, and make government have more concern for future generations. Given how few people actively work on reducing these risks, we expect that there’s a lot that could be done to build a movement around them. In total, how effective is it to reduce these risks? Considering all the approaches to reducing these risks, and how few resources are devoted to some of them, it seems like substantial progress is possible. In fact, even if we only consider the impact of these risks on the present generation (ignoring any benefits to future generations), they’re plausibly the top priority. Here are some very rough and simplified figures to show how this could be possible. It seems plausible to us that $100 billion spent on reducing extinction risk could reduce it by over 1% over the next century. A one percentage point reduction in the risk would be expected to save about 100 million lives among the present generation (1% of about 10 billion people alive today). This would mean the investment would save lives for only $1000 per person. Greg Lewis has made a more detailed estimate, arriving at a mean of $9200 per life saved in the present generation.28 There are also more estimates in the thread. We think Greg is likely too conservative, because he assumes the risk of extinction is only 1% over the next century, when our estimate is that it’s several times higher. We also think the next billion dollars spent on reducing extinction risk could cause a larger reduction in the risk than Greg assumes (note that this is only true if the billion were spent on the most neglected issues like AI safety and biorisk, rather than climate change which already receives hundreds of billions of dollars of investment). We wouldn’t be surprised if the cost per present lives saved for the next one billion dollars invested in reducing extinction risk were under $100. 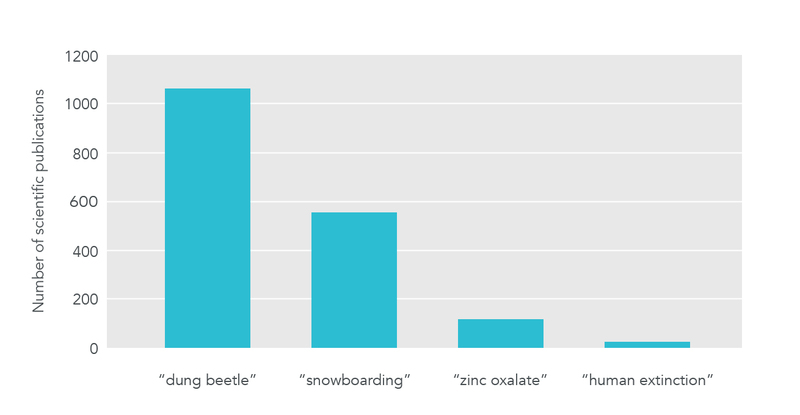 GiveWell’s top recommended charity, Against Malaria Foundation (AMF), is often presented as one of the best ways to help the present generation and saves lives for around $7500 (2017 figures).29 So these estimates would put extinction risk reduction as better or in the same ballpark cost-effectiveness as AMF for saving lives in the present generation — a charity that was specifically selected for being outstanding on that dimension. In one sense, these are unfair comparisons, because GiveWell’s estimate is far more solid and well-researched, whereas our estimate is more of an informed guess. There may also be better ways to help the present generation than AMF (e.g. policy advocacy). However, we’ve also dramatically understated the benefits of reducing extinction risks. The main reason to safeguard civilisation is not to benefit the present generation, but to benefit future generations. We ignored them in this estimate. If we also consider future generations, then the effectiveness of reducing extinction risks is orders of magnitude higher, and it’s hard to imagine a more urgent priority right now. Now you can either read some responses to these arguments, or skip ahead to practical ways to contribute. Who shouldn’t prioritise safeguarding the future? The arguments presented rest on some assumptions that not everyone will accept. Here we present some of the better responses to these arguments. We’re only talking about what the priority should be if you are trying to help people in general, treating everyone’s interests as equal (what philosophers sometimes call “impartial altruism”). Most people care about helping others to some degree: if you can help a stranger with little cost, that’s a good thing to do. People also care about making their own lives go well, and looking after their friends and family, and we’re the same. How to balance these priorities is a difficult question. If you’re in the fortunate position to be able to contribute to helping the world, then we think safeguarding the future should be where to focus. We list concrete ways to get involved in the next section. Otherwise, you might need to focus on your personal life right now, contributing on the side, or in the future. We don’t have robust estimates of many of the human-caused risks, so you could try to make your own estimates and conclude that they’re much lower than we’ve made out. If they were sufficiently low, then reducing them would cease to be the top priority. We don’t find this plausible for the reasons covered. If you consider all the potential risks, it seems hard to be confident they’re under 1% over the century, and even a 1% risk probably warrants much more action than we currently see. We rate these risks as less “solvable” than issues like global health, so expect progress to be harder per dollar. That said, we think their scale and neglectedness more than makes up for this, and so they end up more effective in expectation. Many people think effective altruism is about only supporting “proven” interventions, but that’s a myth. It’s worth taking interventions that only have a small chance of paying off, if the upside is high enough. The leading funder in the community now advocates an approach of “hits-based giving”. 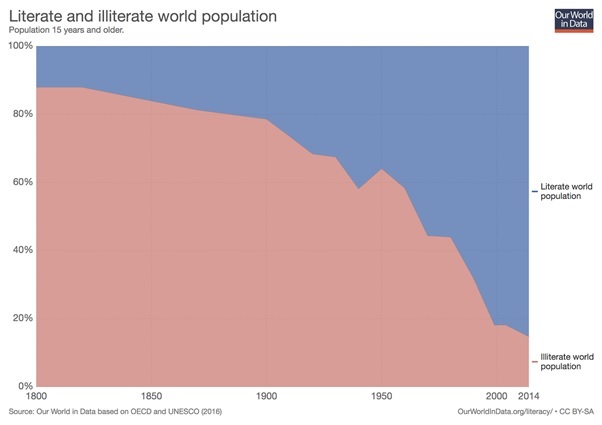 However, if you were much more pessimistic about the chances of progress than us, then it might be better to work on more conventional issues, such as global health. Personally, we might switch to a different issue if there were two orders of magnitude more resources invested in reducing these risks. But that’s a long way off from today. A related response is that we’re already taking the best interventions to reduce these risks. This would mean that the risks don’t warrant a change in practical priorities. For instance, we mentioned earlier that education probably helps to reduce the risks. If you thought education was the best response (perhaps because you’re very uncertain which risks will be most urgent), then because we already invest a huge amount in education, you might think the situation is already handled. We don’t find this plausible because, as listed, there are lots of untaken opportunities to reduce these risks that seem more targeted and neglected. Another example like this is that economists sometimes claim that we should just focus on economic growth, since that will put us in the best possible position to handle the risks in the future. We don’t find this plausible because some types of economic growth increase the risks (e.g. the discovery of new weapons), so it’s unclear that economic growth is a top way to reduce the risks. Instead, we’d at least focus on differential technological development, or the other more targeted efforts listed above. Although reducing these risks is worth it for the present generation, much of their importance comes from their long-term effects — once civilisation ends, we give up the entire future. You might think there are other actions the present generation could take that would have very long-term effects, and these could be similarly important to reducing the risk of extinction. This is going to get a bit sci-fi, but bear with us. One possibility that has been floated is that new technology, like extreme surveillance or psychological conditioning, could make it possible to create a totalitarian government that could never be ended. This would be the 1984 and Brave New World scenario respectively. If this government were bad, then civilisation might have a fate worse than extinction by causing us to suffer for millennia. These risks have been called “s-risks”.31 If there is something we can do today to prevent an s-risk from happening, it could be even more important. We agree that there might be other ways that we can have very long-term effects, and these might be more pressing than reducing the risk of extinction. However, most of these proposals are not yet as well worked out, and we’re not sure about what to do about them. The main practical upshot of considering these other ways to impact the future, is that we think it’s even more important to positively manage the transition to new transformative technologies, like AI. It also makes us keener to see more global priorities research looking into these issues. Overall, we still think it makes sense to first focus on reducing extinction risks, and then after that, we can turn our attention to other ways to help the future. One way to help the future we don’t think is a contender is speeding it up. Some people who want to help the future focus on bringing about technological progress, like developing new vaccines, and it’s true that these create long-term benefits. However, we think what most matters from a long-term perspective is where we end up, rather than how fast we get there. Discovering a new vaccine probably means we get it earlier, rather than making it happen at all. Moreover, since technology is also the cause of many of these risks, it’s not clear how much speeding it up helps in the short-term. Speeding up progress is also far less neglected, since it benefits the present generation too. As we covered, over 1 trillion dollars is spent each year on R&D to develop new technology. So, speed-ups are both less important and less neglected. If you think it’s virtually guaranteed that civilisation won’t last a long time, then the value of reducing these risks is significantly reduced (though perhaps still worth taking to help the present generation). We agree there’s a significant chance civilisation ends soon (which is why this issue is so important), but we also think there’s a large enough chance that it could last a very long time, which makes the future worth fighting for. Beyond that, you should likely put your attention into ways to decrease the chance that the future will be bad, such as avoiding s-risks. If you think we have much stronger obligations to the present generation than future generations (such as person-affecting views of ethics), then the importance of reducing these risks would go down. Personally, we don’t think these views are particularly compelling. That said, we’ve argued that even if you ignore future generations, these risks seem worth addressing. The efforts suggested could still save the lives of the present generation relatively cheaply, and they could avoid lots of suffering from medium-sized disasters. What’s more, if you’re uncertain about whether we have moral obligations to future generations, then you should again try to keep your options open, and that means safeguarding civilisation. Nevertheless, if you combined the view that we don’t have large obligations to future generations with the position that the risks are also relatively unsolvable, or that there is no useful research to be done, then another way to help present generations could come out on top. This might mean working on global health, mental health or speeding up technology. Alternatively, you might think there’s another moral issue that’s more important, such as factory farming. 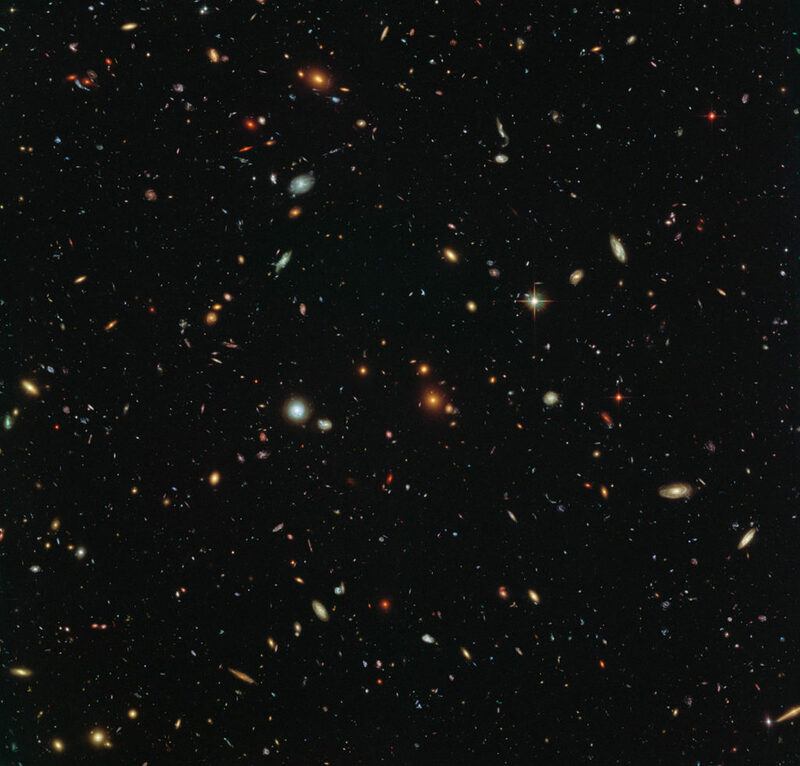 Our best evidence suggests that we’re the only intelligent life in the observable universe.34 Might we be the generation that extinguishes this life, and leaves the universe barren for the rest of eternity? Let’s see how you can help avoid that. Targeted efforts to reduce other catastrophic risks. Attempts to build other relevant communities, such as building a culture of safety in science. Attempts to promote international coordination. Attempts to find other broad interventions, such as improving human rationality and intelligence, or improving science. What can you do to help with these areas? If we look at the bottlenecks in these areas right now, it seems like there are three broad categories of career that especially help (we’ll explain why in an upcoming post). Try to work out which one might be the best fit for you. You can speak to us one-on-one to get more support. There are lots of organisations doing good work on these issues, and they’re especially keen to hire people who really care about the cause. Many of these organisations are short of staff with a wide range of skills, including operations, management, communications and admin. If you could fill one of these roles that would have a lot of impact. You can find lists of organisations in each of the problem profiles above. We’d recommend getting in touch with the organisations directly and building connections, but there are also advertised positions. If you can find an opportunity to found a new organisation that’s even better than what already exists, that can be even higher-impact. Read more about working at effective non-profits and working at foundations. Second tier: biology (inc. synth bio, genetics, public health, epidemiology), international relations (inc. security studies) / political science, decision psychology, philosophy. If you already have expertise in an academic field, there is likely a way to contribute. See our problem profiles for lists of specific research questions. To go down this path, you can either work in academia, or there are many non-profit organisations and think tanks that hire researchers. This path is also not only attractive due to the usefulness of the research, but also because by becoming a researcher you’ll develop expertise on these risks, which will help in many other paths, such as going into policy. What’s more, you’ll also be able to use your position as an expert to advocate for greater safety within the scientific community, or in a “public intellectual” role, so you don’t have to contribute through research directly. As we mentioned, building a community of scientists who care about these risks seems like a promising course of action. Government will play a key role in mitigating and managing many of these risks, so it’s always useful to have more concerned people in the policy world, connected with each other. Many government roles also seem extremely influential relative to how hard they are to enter. There is useful action we can take today to reduce many of these risks, such as improving disease surveillance or improving decision-making. What’s more, by understanding what’s going on in government, you can help to develop and implement better proposals in the future. There are few people who have a good understanding of both science and policy, and we need more people like this to develop good proposals. Working within government as a civil servant (see our UK profile). Working for a political party (see our short UK profile), usually starting as the assistant to a politician and working your way up. Working in a think tank, or as some other kind of influencer, such as journalist or industry lobbyist. Within these paths, you can try to specialise in an especially relevant area of policy, such as technology policy, international relations or defence. There are also specialist routes into science policy, such as working as a grantmaker within a government research funding agency like DARPA. To enter these options, people often start as a researcher. We hope to produce more detailed guides on all these options. There are a wide variety of positions within this path, so many people can find an option that’s a good personal fit. These three paths are also not meant to be exhaustive. There are many other ways to help. You can generate more ideas by making your own list of priority areas, then trying to spot the biggest bottlenecks to progress within each. One way to help that we’re cautious about is broad-based advocacy. It would be helpful if more people were concerned by these risks and wanted to protect future generations, but when you try to think of more specific proposals to promote, it’s easy to do more harm than good. First, it’s easy to present the arguments in a way that gives the ideas a bad reputation. For instance, if you raise concerns about the risks from technology, many people will assume you’re anti-technology in general and brand you as a luddite, a doomer or alarmist. This can also ruin the reputation of others who promote these risks, hampering the whole movement. We actually think that technology has more potential benefits than most people realise, which makes us even more keen to safeguard civilisation. Second, the solutions to many of these risks are complicated. Broad-based advocacy lends itself best to simple messages, and complex messages tend to get simplified — they are “low fidelity”. This means it’s easy to accidentally promote an overly simplified response, which could easily do more harm than good. For instance, stricter regulation of bioengineering sounds like an obvious idea, but it could make people less willing to report accidents, increasing certain types of risk. For both reasons, we’re cautious about mass advocacy, and prefer right now to focus on building a smaller community of key decision-makers in policy, science and technology, who have a deep understanding of the risks and solutions. If you know someone in this category, you can help by carefully introducing them to the ideas and arguments. Read more about some of the problems with broad advocacy. Another area where we struggle to see how to make progress is by setting up for-profit businesses and social enterprises. Most of the best ways to tackle these risks are not easily taken by for-profit entities, because the beneficiaries live in the future and can’t pay you. However, there are sometimes exceptions, especially in the less neglected areas. For instance, for-profit companies could help to develop better technology for disease monitoring, since this also creates short-term benefits and the government might be willing to pay for it. Or consider Tesla as a way to fight climate change. Graduate study in one of the areas listed above at a middle-ranked school or higher. Work in any well-run organisation and learn a skill that will be useful in one of these paths. For instance, you could work in a great operations team in the private sector, with the aim of later transferring into relevant non-profits or the government. Meet people who work on these issues. The best jobs are found through connections and it’s always useful to learn more about the specific problems. There are conferences about the specific risks, as well as many people in the effective altruism community who can help. Self-study. No matter what job you’re in now, you can put yourself in a better position in the future — we outline some of the best advice here. Anyone can contribute to reducing these risks by donating to relevant organisations. This became much easier in early 2017, because you can now donate to the Effective Altruism Long-Term fund. You could also consider aiming to take a higher-paid job so you can donate more — earning to give. Though, make sure you still do a job with good personal fit, so that it’s sustainable and you get good career capital. Earning to give is an especially good option if you’re already established in a high-paying career, such as law or finance, and you can’t find a way to directly apply your skills. Your donations could be enough to fund the salaries of several workers in the non-profit sector, at the most effective organisations. If you want to earn to give and haven’t already settled on an industry, consider working in a relevant area of technology, such as artificial intelligence or bioengineering. This will let you learn more about the issues and promote a culture of safety. Read more about how best to earn to give here. Our generation can either help cause the end of everything, or be the generation that navigates humanity through its most dangerous period, and become one of the most important generations in history. We could be the generation that makes it possible to reach an amazing, flourishing world, or that puts everything at risk. As people who want to help the world, this is where we should focus our efforts. If you want to focus your career on these issues, we’d like to speak to you. We can help you analyse your plan, make connections, and find jobs in these areas. It’s all free. See the academic version of this argument in this paper by Prof. Nick Bostrom. Why to focus on future generations? You can hear related ideas discussed in our podcasts with Dr. Toby Ord and Dr. Nick Beckstead, as well as other episodes on specific risks. Get more research like this delivered to your inbox once a month. In the course of the last four months it has been made probable — through the work of Joliot in France as well as Fermi and Szilárd in America — that it may become possible to set up a nuclear chain reaction in a large mass of uranium, by which vast amounts of power and large quantities of new radium-like elements would be generated. Now it appears almost certain that this could be achieved in the immediate future. This new phenomenon would also lead to the construction of bombs, and it is conceivable — though much less certain — that extremely powerful bombs of a new type may thus be constructed. A single bomb of this type, carried by boat and exploded in a port, might very well destroy the whole port together with some of the surrounding territory. However, such bombs might very well prove to be too heavy for transportation by air. Greenberg surveyed users of Mechanical Turk, who tend to be 20-40 and more educated than average, so the survey doesn’t represent the views of all Americans. See more detail in this video: Social Science as Lens on Effective Charity: results from four new studies - Spencer Greenberg, 12:15. The initial survey found a median estimate of the chance of extinction within 50 years of 1 in 10 million. Greenberg did three replication studies and these gave higher estimates of the chances. The highest found a median of 1 in 100 over 50 years. However, even in this case, 39% of respondents still guessed that the chances were under 1 in 10,000 (about the same as the chance of a 1km asteroid strike). In all cases, over 30% thought the chances were under 1 in 10 million. You can see a summary of all the surveys here. Note that when we asked people about the chances of extinction with no timeframe, the estimates were much higher. One survey gave a median of 75%. 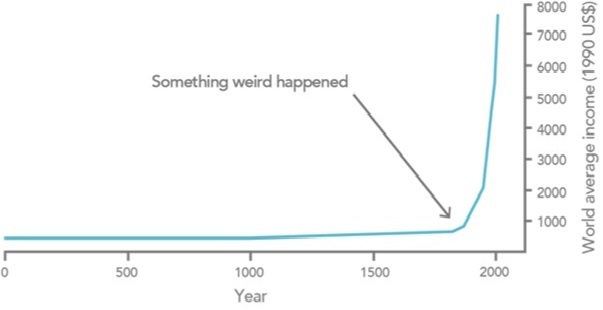 This makes sense -- humanity will eventually go extinct. This helps to explain the discrepancy with some other surveys. For instance, "Climate Change in the American Mind" (May 2017, archived link), found that the median American thought the chance of extinction from climate change is around 1 in 3. This survey, however, didn't ask about a specific timeframe. When Greenberg tried to replicate the result with the same question, he found a similar figure. But when Greenberg asked about the chance of extinction from climate change in the next 50 years, the median dropped to only 1%. Many other studies also don't correctly sample low probability estimates -- people won't typically answer 0.00001% unless presented with the option explicitly. In order to cause the extinction of human life, the impacting body would probably have to be greater than 1 km in diameter (and probably 3 - 10 km). There have been at least five and maybe well over a dozen mass extinctions on Earth, and at least some of these were probably caused by impacts (, pp. 81f.). In particular, the K/T extinction 65 million years ago, in which the dinosaurs went extinct, has been linked to the impact of an asteroid between 10 and 15 km in diameter on the Yucatan peninsula. It is estimated that a 1 km or greater body collides with Earth about once every 0.5 million years. We have only catalogued a small fraction of the potentially hazardous bodies. The odds of crashing into the Atlantic on a Virgin operated A330 flying from Heathrow to JFK (1 in 5.4 million). So, you'd need to fly 1000 times in your life to be equally likely to be in a plane crash as in an asteroid disaster. Different surveys find substantially different results for how pessimistic people are about the future, but many find that a majority think the world is getting worse. For instance, a recent government survey in the UK found that 71% of respondents said they thought the world was getting worse. Although most measures of progress seem to be increasing (as covered in the article), there are some ways that life might have become worse. For instance, in Sapiens, Yuval Harari argues that loneliness and mental health problems have increased in the modern age, while our sense of purpose and meaning might have decreased. We're sceptical that these downsides offset the gains, but it's hard to be confident. A stronger case that the world is getting worse comes if you consider our impact on animals. In particular, since the 1960s factory farming has grown dramatically, and there are now perhaps well over 30 billion animals living in terrible conditions in factory farms each year. If we care about the suffering of these animals, then it could outweigh the gains in human welfare. Taken together, we don’t think it’s obvious that welfare has increased. However, the more important question is what the future will hold. Will the future be better? Our view is that -- so long as we avoid extinction -- increasing technology and moral progress give us the opportunity to our worst social problems, and have much better lives in the future. Putting extinction risks to one side, if we consider specific global problems, many of them could be fixed with greater wealth, technology, and more moral and political progress of the kind we've seen. For instance, in the case of factory farming, we expect that as people get richer, the problem will reduce. First, wealthy people are more likely to buy products with high welfare standards because it’s less cost to them. Second, technology has the potential to end factory farming by creating meat substitutes, cultured meat, or less harmful farming practices. Third, moral concern for other beings seems to have increased over time -- the "expanding moral circle" -- so we expect that people in the future will have more concern for animal welfare. If we zoom out further, ultimately we expect the future to be better because people want it to be better. As we get more technological power and freedom, people are better able to achieve their values. Since people want a good future, it’s more likely to improve than get worse. Fifty years ago, the Cuban missile crisis brought the world to the brink of nuclear disaster. During the standoff, President John F. Kennedy thought the chance of escalation to war was “between 1 in 3 and even,” and what we have learned in later decades has done nothing to lengthen those odds. Such a conflict might have led to the deaths of 100 million Americans and over 100 million Russians. For the chance of a bomb hitting a civilian target, see the figure one third down the page “What is the probability that a nuclear bomb will be dropped on a civilian target in the next decade?”. Note that one expert estimated the chance of a nuclear strike on a civilian target in the next decade at less than 1%. Are experts more concerned by India-Pakistan than North Korea? When did "nuclear winter" become a concern? "Nuclear winter," and its progenitor, "nuclear twilight," refer to nuclear events. Nuclear winter began to be considered as a scientific concept in the 1980s, after it became clear that an earlier hypothesis, that fireball generated NOx emissions would devastate the ozone layer, was losing credibility. It was in this context that the climatic effects of soot from fires was "chanced upon" and soon became the new focus of the climatic effects of nuclear war. In these model scenarios, various soot clouds containing uncertain quantities of soot were assumed to form over cities, oil refineries, and more rural missile silos. Once the quantity of soot is decided upon by the researchers, the climate effects of these soot clouds are then modeled. The term "nuclear winter" was coined in 1983 by Richard P. Turco in reference to a 1-dimensional computer model created to examine the "nuclear twilight" idea, this 1-D model output the finding that massive quantities of soot and smoke would remain aloft in the air for on the order of years, causing a severe planet-wide drop in temperature. Turco would later distance himself from these extreme 1-D conclusions." It may have killed between 3% and 6% of the global population. World War One’s role in the worst ever flu pandemic, John Mathews, The Conversation, 2014,Archived link, retrieved 27-Oct-2017. A world population of 1,811 million suffering 30 million deaths would have had a mortality rate of 16.6 per thousand, three times the rate for the richer countries but well within the range for poor ones. Guesses of 50-100 million flu deaths would put global rates at approximately 27.6-55.2 per thousand. Patterson, K.D. and Pyle, G.F., 1991. The geography and mortality of the 1918 influenza pandemic. Bulletin of the History of Medicine, 65(1), p.4. Archived Link, retrieved 22- October-2017. Further research has seen the consistent upward revision of the estimated global mortality of the pandemic, which a 1920s calculation put in the vicinity of 21.5 million. A 1991 paper revised the mortality as being in the range 24.7-39.3 million. This paper suggests that it was of the order of 50 million. However, it must be acknowledged that even this vast figure may be substantially lower than the real toll, perhaps as much as 100 percent understated. 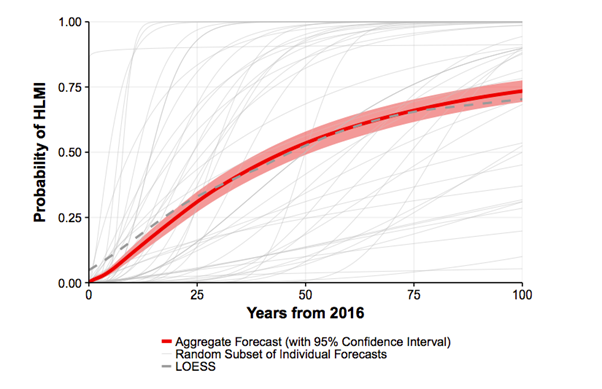 Asking people about specific jobs massively changes HLMI forecasts. When we asked some people when AI would be able to do several specific human occupations, and then all human occupations (presumably a subset of all tasks), they gave very much later timelines than when we just asked about HLMI straight out. For people asked to give probabilities for certain years, the difference was a factor of a thousand twenty years out! (10% vs. 0.01%) For people asked to give years for certain probabilities, the normal way of asking put 50% chance 40 years out, while the ‘occupations framing’ put it 90 years out. Occasional statements from scholars such as Alan Turing, I. J. Good, and Marvin Minsky indicated philosophical concerns that a superintelligence could seize control. There are millions of deaths each year due to easily preventable diseases, such as malaria and diarrhoea, though the numbers are falling rapidly, so it seems unlikely they will exceed 300 million in the next century. Global gross expenditure on research and development (GERD) totalled 1.48 trillion PPP (purchasing power parity) dollars in 2013. The overall industry has posted steady growth of 4%, to an estimated €1.08 trillion in retail sales value in 2016. The best estimate of the cost of the 185 federal means tested welfare programs for 2010 for the federal government alone is nearly $700 billion, up a third since 2008, according to the Heritage Foundation. Counting state spending, total welfare spending for 2010 reached nearly $900 billion, up nearly one-fourth since 2008 (24.3%). After levelling off in 2012, and declining in 2013, the amount of climate finance invested around the world in 2014 increased by 18%, from USD 331 billion to an estimated USD 391 billion. Global Landscape of Climate Finance 2015, Climate Policy Initiative, 2015, Archived link, retrieved 27-October-2017. Also see our problem profile for more figures. The least developed countries plus India spend about $300 billion on health each year (PPP). Health in poor countries, 80,000 hours problem profile. If we consider resources flowing to the global poor more generally, then we should include all aid spending, remittances and their own income. There are over 700 billion people below the global poverty line of $1.75 per day. If we take their average income to be $1 per day, then that would amount to $256bn of income per year. The resources dedicated to preventing the risk of a nuclear war globally, including both inside and outside all governments, is probably $10 billion per year or higher. However, we are downgrading that to $1-10 billion per year quality-adjusted, because much of this spending is not focussed on lowering the risk of use of nuclear weapons in general, but rather protecting just one country, or giving one country an advantage over another. Much is also spent on anti-proliferation measures unrelated to the most harmful scenarios in which hundreds of warheads are used. Global spending on research and action to ensure that machine intelligence is developed safely will come to only $9 million in 2017. The Person-Affecting Value of Reducing Existential Risk by Greg Lewis, archived version, retrieved August 2018. We estimate that it costs the Against Malaria Foundation approximately $7,500 (including transportation, administration, etc.) to save a human life. If you donate $1m over your life, about a third of the income of the mean college graduate, and we use the cost per life saved for Against Malaria Foundation, that would save about 130 lives. S-risks are risks where an adverse outcome would bring about suffering on an astronomical scale, vastly exceeding all suffering that has existed on Earth so far. S-risks are a subclass of existential risk, often called x-risk... Nick Bostrom has defined x-risk as follows. The Fermi paradox is the discrepancy between the strong likelihood of alien intelligent life emerging (under a wide variety of assumptions) and the absence of any visible evidence for such emergence. In this paper, we extend the Fermi paradox to not only life in this galaxy, but to other galaxies as well. We do this by demonstrating that travelling between galaxies – indeed even launching a colonisation project for the entire reachable universe – is a relatively simple task for a star-spanning civilisation, requiring modest amounts of energy and resources.